VoLTE Enables voice support for IoT and M2M applications. Sequans Communications S.A. announced that Verizon has certified the Calliope LTE Cat 1 chipset to support VoLTE applications. Verizon’s IoT strategy is supported by Sequans’ Calliope chipset, which was the first LTE Cat 1 chipset to come to market, the first to be certified by Verizon, and now the first to support VoLTE. Calliope’s VoLTE capabilities are enabled by a fully integrated on-chip IMS stack and media processing engine. The platform supports LTE quality of service for fast call setup and low-latency voice calls. Calliope also supports advanced calling features such as conference calling, call waiting, and call forwarding; and it supports all major voice codecs including AMR-wideband for Verizon’s HD Voice service. Also certified for VoLTE by Verizon Wireless at this time is the VZ120Q module based on Calliope that includes complete RF support for Verizon’s LTE bands 4 and 13. 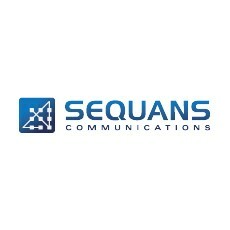 Calliope is a member of Sequans’ StreamliteLTE™ family of products for the Internet of Things.